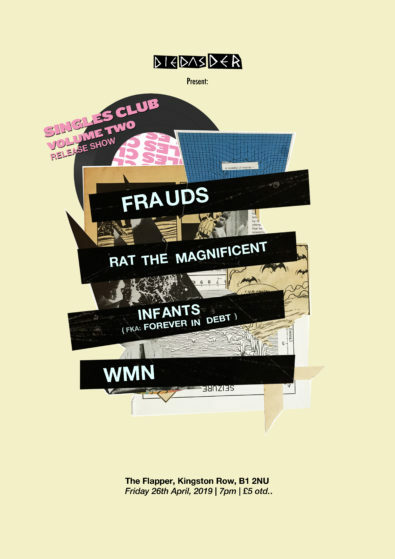 Notice: The Frauds gig at The Flapper on Friday 26th of April will also be serving as the official launch event for Volume 02 of our 7″ Singles Club! It’ll be your first chance to buy the single in person – so come along and get it signed by the Frauds guys! If you’ve already pre-ordered and would prefer to collect at the gig than receive it through the post, then drop us a message (we’ll even throw in something extra to make up for the postage). Remember only the first 25 pre-orders get the A4 screen print (still a couple left if you get in fast! ).